Put the sugar and water in a pan and make a simple syrup by heating it up slowly (don’t boil it). 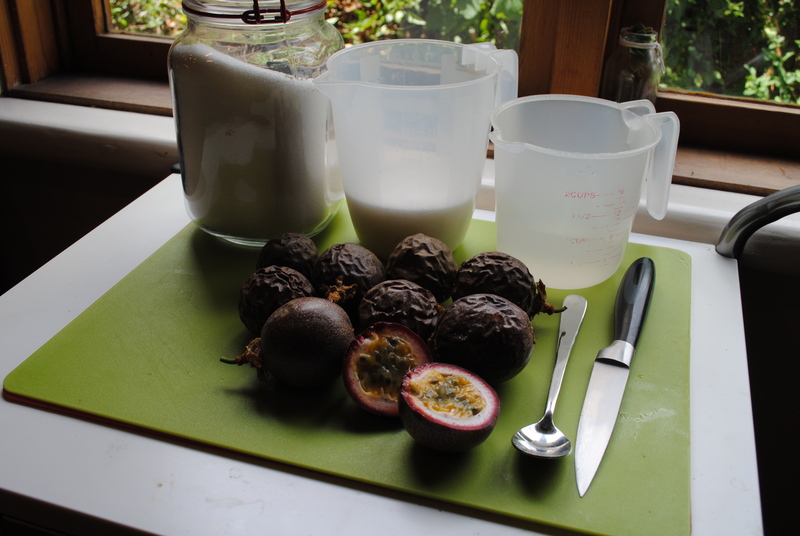 When the sugar is dissolved add the pulp from all but two of the passionfruit and bring the mixture to a slight boil for a couple of minutes. Remove the pan from the heat, add the pulp from the remaining two passionfruit and leave the syrup to cool. The addition of the pulp that hasn’t been boiled adds an extra freshness to the syrup, while the boiled fruit imparts a deeper flavour. When the syrup has cooled, let it stand for about two hours so the flavours really get a chance to come out and settle. Once the syrup has sat for awhile, strain out the seeds and pour the syrup into sterilised bottles. The syrup can be made two or more days ahead but you need to keep it refrigerated. 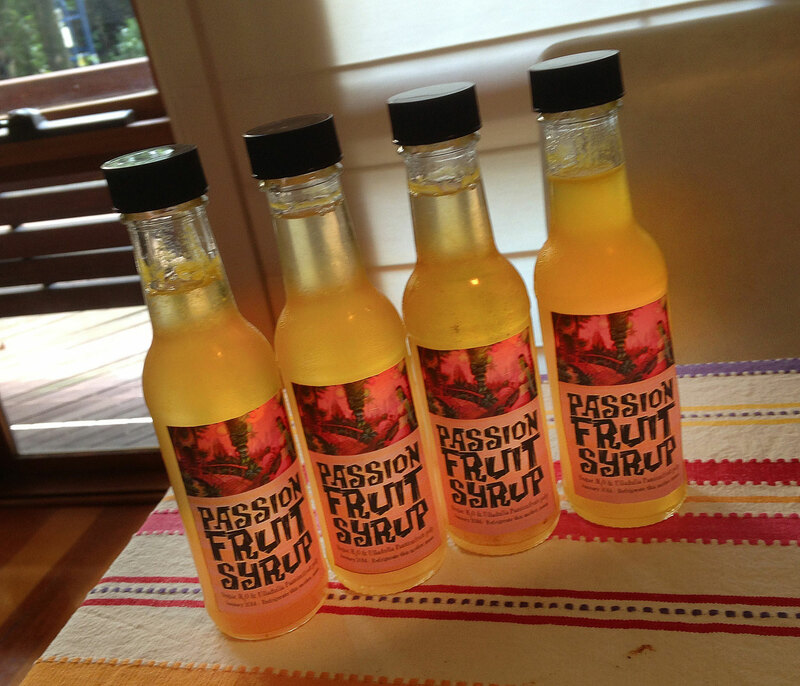 Passionfruit Syrup is delicious on ice cream,on pavlova or in cakes, but it’s especially good when used in a Hurricane Cocktail. 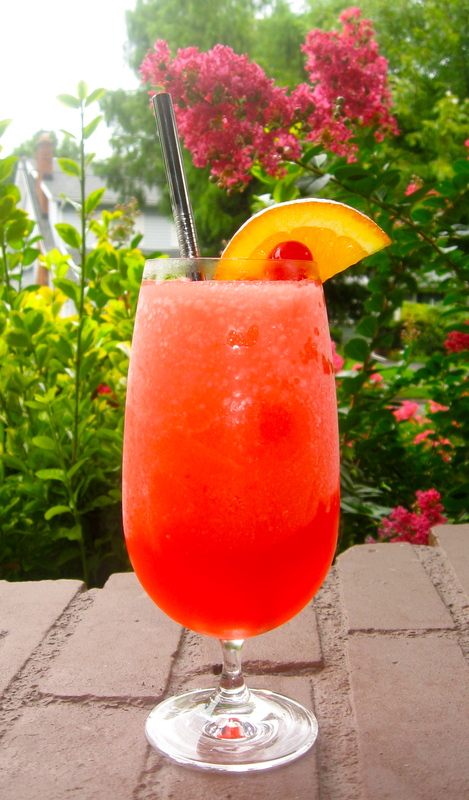 *Some recipes include orange juice and/or Grenadine, which makes them too Daiquiri-like for my taste. To make the Hurricane, put the crushed ice in a cocktail shaker and add the Dark Rum, Passionfruit Syrup and lemon juice. Shake it well. Pour the drink (unstrained) into a cocktail glass and garnish with an orange slice and a cherry.